Does anyone know if their is a charter trip taking place this weekend? All eight of the historic 2400-series cars are sitting in Howard yard this evening and it looked as if the graffiti was finally cleaned off the four cars that were tagged. 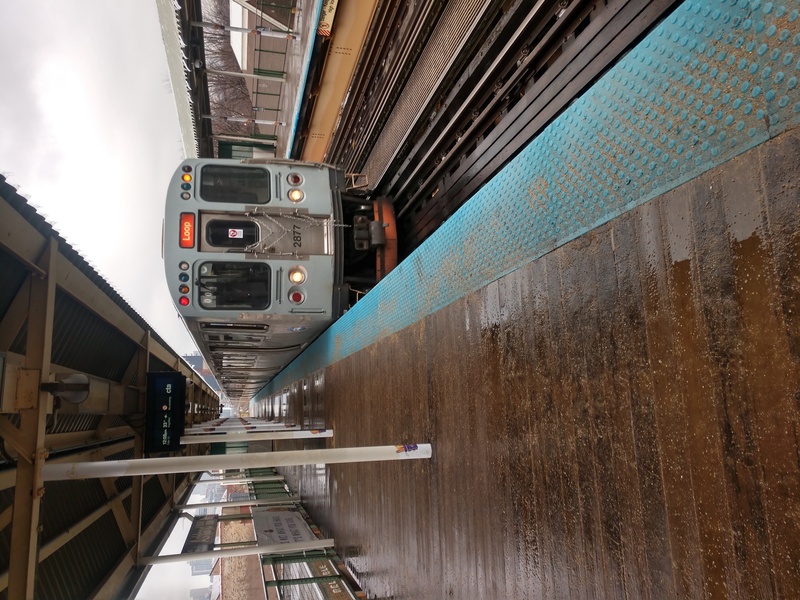 They just announced on abcnews the throwback #2400's will be running tomorrow for the crosstown series between the cubs and sox on the red line. They claim they will take customers to the cell one day and take them to Wrigley on Wednesday. I'll see if I can fish up a link. I found four "presumed scrapped" cars in Joliet. These are at Burris Equipment, 2001 Cherry Hill Road, along the CN ex-EJ&E mainline. So if you want to rent some 2400s this is the place to go! Darn, I can't find rental rates for them. I just want to see what you have to pony up to get them for a bit. Which brings up the question of why they are there, as Burris is an equipment rental company, not a scrap yard. Also of note, the property was formerly a Beatty lumber yard, which is why it has a railroad spur. 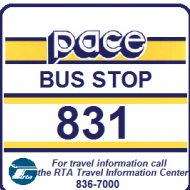 2507-08, 2521-22 sold 12/17/15 to Chicagoland Speedway per CTA. Is 2423-24 a work car set? It's not supposed to be a work car set. Speaking of work cars the low #2400's have been regularly laid up in rosemont yard as of late. Thought those were at midway yard. Somewhat bizarre sighting last night... a 6-car train not in service was headed southbound form Howard Yard. I usually see the 2400 work cars make those southbound runs every weeknight. But the strange thing was 4/6 cars in last night's consist had new LED destination signs that looked like Orange Line "Midway" signs. Against the street lighting, the sides of the cars looked to have the characteristics of the 2400's striping though, and there was a pair of 2400's in the middle of the consist. There's no possibility that they rehabbed any of the 2400 or 2600's designated for work-service, right? 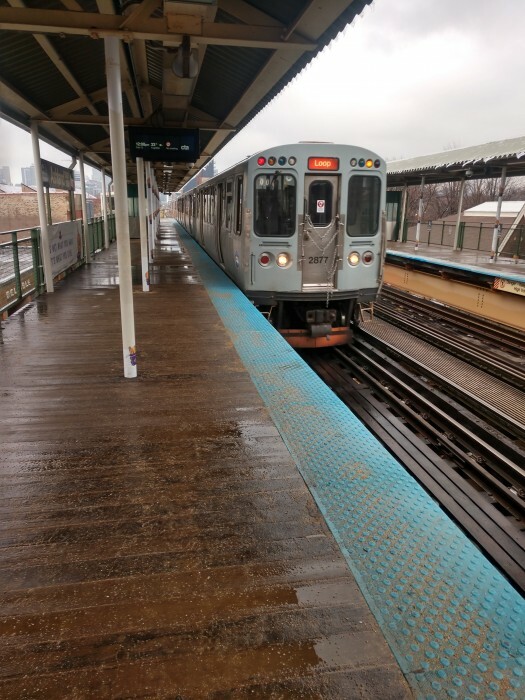 Could they have been rehabbed 3200's headed from Skokie to Midway? There's no possibility that they rehabbed any of the 2400 or 2600's designated for work-service, right? Anything is possible, especially since the work 2400s were not retired. Could they have been rehabbed 3200's headed from Skokie to Midway? If they were 3200s, they would have had fluted sides. It could've been 3445-46. They just finished a full rehab and were out testing earlier in the day. Right, that's the main thing I was trying to distinguish-- I don't believe I saw any fluted sides! I'll keep my eye out again tonight for them. Hopefully with a camera this time. UPDATE: 22:51- 2400-Series consist headed southbound out of Howard. Caught the tail-end of the train-- it had the flatbeds with presumably sewer-cleaning materials on it. No LED lights this time. Is there a possibility the 2400s might take a "curtain call" for the b**eball series next weekend? I noticed last week they are no longer at the location on Cherry Hill Road where I photographed them. Does anyone know what Chicagoland Speedway did with them, if anything? Looks like between this and Jungle Jim's, the story of the great disappearing L car. It used to be a time when those 2600's dominated this line in the early 90's lol. Also wouldn't be the 1st time green line ran the oldest cars, when it reopened in 95, 2400's were assigned there until they got the 5000's that replaced them. Me personally it's always good to see the 2600 series on the green line it reminds me of the old times when I was a lil boy in the early 90 riding them downtown 😊😊👍🏽👍🏽. From a nostalgic point, I agree. I miss the variety in older series consists that the green, pink, and red lines used to see. All-5000's gets boring real quick. Maybe someone is waking up and smelling the coffee. Orange line is a lighter demanding line on the 2600s. They might be repairing them to the point where they have an excess. What should have been done in the first place (not running 2600s on a 24/7 line exclusively,) is happening. You know on the weekend you barely see 3200s in rosemount yard. Why because they are in high demand. The 2600s are getting the rest they deserve. They are being fixed faster on the blue because they dont have hoards of cars needing repair. Plus they have extra downtime so they dont need to be repaired as much. Its nuts. It's like having a new car in your garage and taking out the 20 year old car. Of course it will cost you more to run it and you will have the pains of interrupted service. Like I say things are so bad on the blue it has to be losing service. I bet service has came back with the 3200s but it will take a long time to regain the trust of riders left in the lurch. I grew up in Oak Park, and I never could think about the Green Line without remembering the 2400s. They were THE Green Line cars, and I’m sure people who live along the Purple Line think the same. Agreed! That’s why I’m not as enthusiastic about filming trains at Howard Yard as I used to be. I loved editing the two videos I filmed in 2012 because there were 2400s and 2600s everywhere up in that yard. Even though there were no 3200s or 2200s I still thought it was much more exciting than 5000 set after 5000 set. I don't understand the logic of having ONE set of 2600s on the Green Line. 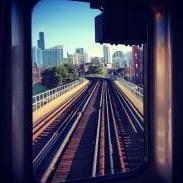 Is the Orange Line Midway Yard at capacity? There's room at 63rd/Loomis Yard but there should be enough cars on Green Line to get by without using the 2600s.